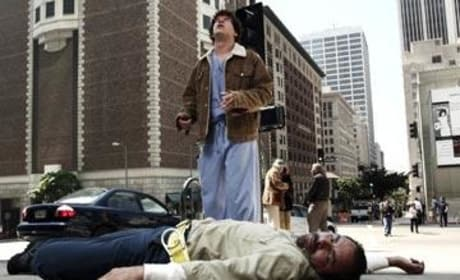 A photo from the episode "Let It Be." This poor guy was saved by Drs. 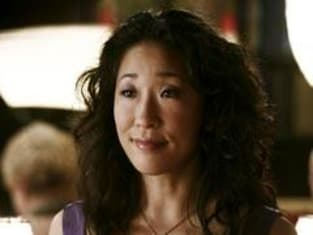 Burke and Yang, who happened to be at the same restaurant. Lucky! 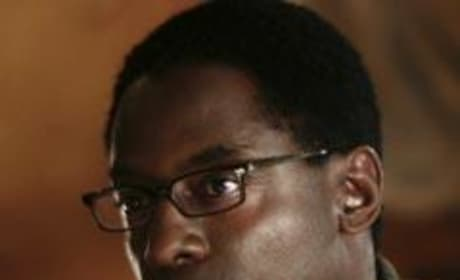 Dr. Preston Burke, that is. The guy fell. From really high up. 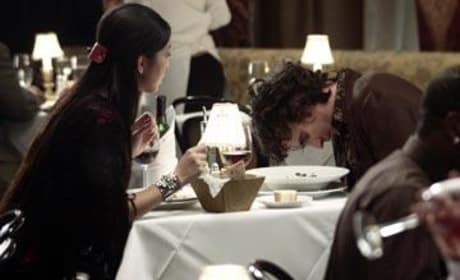 Cristina's date with Preston didn't get off to a great start. That came out of nowhere for George. That goes better with steak. 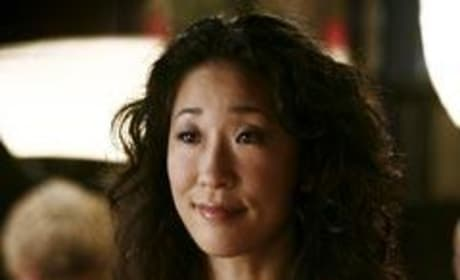 Cristina on her awkward date with Preston. PRESTON: "So... it's date night." 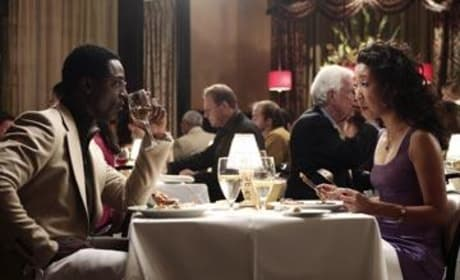 CRISTINA: "Yeah, it's a night... with a date." Permalink: So... it's date night. Yeah, it's a night... with a date. MEREDITH: [narrating] "For extra credit, Mrs. Snyder used to make us act out all the parts. 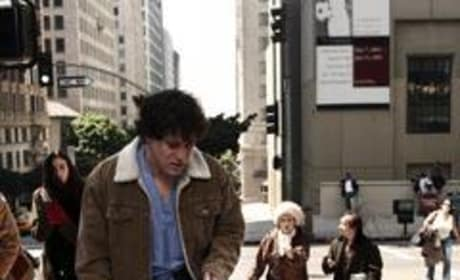 Sal Scafarillo was Romeo. As fate would have it, I was Juliet. Most of the girls were green with envy. I wasn't. I told Ms. Snyder that Juliet was an idiot. For one thing, she falls for the one guy she knows she can't have... Everyone thinks it's so romantic: Romeo and Juliet, true love... how sad. If Juliet was stupid enough to fall for the enemy, drink a bottle of poison, and go to sleep in a mausoleum, then she deserved everything she got."